Cuba is one of my favourite countries I’ve ever travelled and here’s why you need to go right now! Cuba is perhaps not a conventionally appealing holiday destination; I mean, the buildings are old and run down, the streets filled with rubbish, the beaches are pretty “meh” and there really aren’t many tourist attractions at all. So, why is Cuba in the top 3 countries I’ve ever travelled? In short; Cuba is an experience that you won’t have in any other country. With so many restrictions in place that stop them from modernising and moving forward it really is like stepping back in time – and you won’t even be able to tweet about it until you get home! Primarily, it’s the U.S. embargo, the country’s economy and the lack of Internet that are keeping Cuba the way it is. However, right now there are talks going on between U.S. Government and Raúl Castro (Cuba’s President) to drop the embargo and start opening up Cuba for trade. Some parts of the embargo have already been dropped. Opening up Cuba’s economy to both U.S. investment and tourism will not only help liberalise the country, but will also encourage new ideas and way of thinking for the Cuban people. The U.S. wants to encourage wider Internet access in Cuba, which will connect them to the rest of the world and change the country immensely. 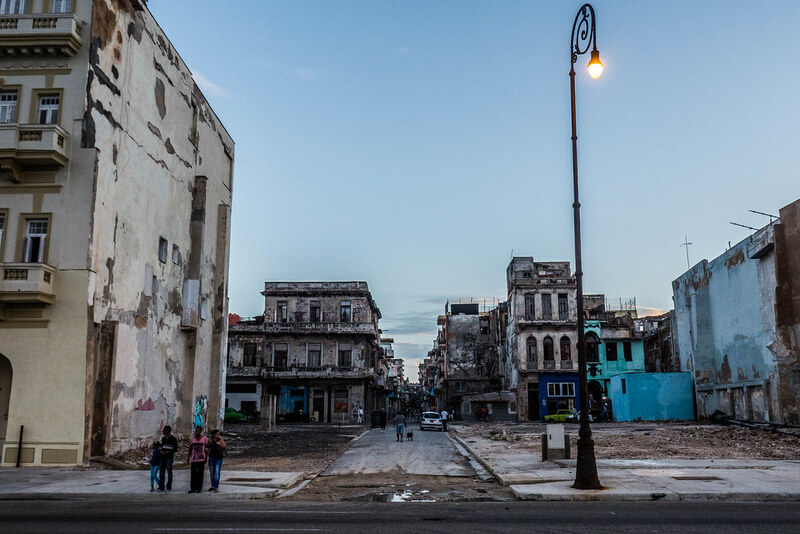 Although I do support the long-overdue change for its people, the ‘frozen-in-time’ Cuba is the sort of place that blows your mind in ways that a ‘modernised’ Cuba will not be able to. Unless you go there soon you may never get a chance to see the country like this again. Are you a U.S. Citizen and you want to go to Cuba Right Now (as in before the embargo is dropped)? You can, but it is risky and kind of illegal. If you want to go down the legal route there is a program called ‘People-for-People’ which is an expensive and restrictive fully organised tour. I don’t recommend this tour so here’s the other way: you will need to fly to Cuba via another country (Canada or Mexico are popular) and hope at Cuban Customs they don’t stamp your passport when you enter/exit the country. No U.S. airlines will fly into Cuba so you may have to change in your stopover. Also no U.S. owned flight search engines will search for Cuba; so try SkyScanner. Cuban customs are well acquainted with U.S. citizens wanting to travel Cuba and will usually stamp a tourist card instead of your passport so you won’t have problems returning to the States. Once in Cuba you may have to pay a penalty for exchanging U.S. dollars and you will not be able to use your debit cards to extract money from ATM’s, so bring enough money to cover your trip. However; in the end most Cubans will treat you exactly the same as any other traveller because they are happy to have the tourism. This is information I found online and by chatting to a couple of U.S. citizens I met in Cuba. It is still technically illegal for Americans to enter Cuba until the government has lifted the embargo. So, if you don’t want to risk it you just have to wait and hope that it happens soon. If you have any further info on how U.S. citizens can enter Cuba, please post in the comments below! I’d love to visit Cuba one day. I am always swooning over the look of it in pictures I see, the buildings look so cool and distressed. I like that their history is everywhere and the old cars are so cool too. The history of Cuba is absolutely amazing! Your pictures are amazing; I can totally see why Cuba is one of your favorite places to travel too. I love to travel to warm locations and especially ones rich in history like this. I am sending my parents to Cuba this summer, and they plan to visit to Havana, Vinales, and the picturesque city of Trinidad, with that famous Caburni Falls – I really can’t wait until they experience it all. This was an interesting post, since we in the US typically don’t know all that much about living in or visiting Cuba. It is interesting how government relations can restrict us, for either good or bad. Thanks for sharing. While it’s such a sad ordeal that the US embargo has caused a lot of this, I think it would be fascinating to see a place that is basically stuck in the past. I bet it’s beautiful. Cuba seems like such a no-no in the US. It reminds me of when I visited France years ago, and there were advertisements to come visit Iraq. You would never find that here in the US. This is really, really interesting especially on the ways that people can go there. I would wait until the embargo is completely dropped. My dad lived there and attended school there and he told me some really fascinating stories about how Cubans lived. Very interesting! I would enjoy a visit to Cuba, I never knew we were under embargo and forbidden as US citizens to visit. Those are some neat tricks to get around and visit for someone willing to take the risk. I for one am not as adventurous in my old age. It’s aсtually ɑ nice and helpful piece of info. I’m satisfied tɦаt ʏou just shared tҺiѕ uѕeful infοrmation ѡith uѕ. Pleasе stay սѕ սp to date like tҺіs. Ƭhanks fοr sharing.